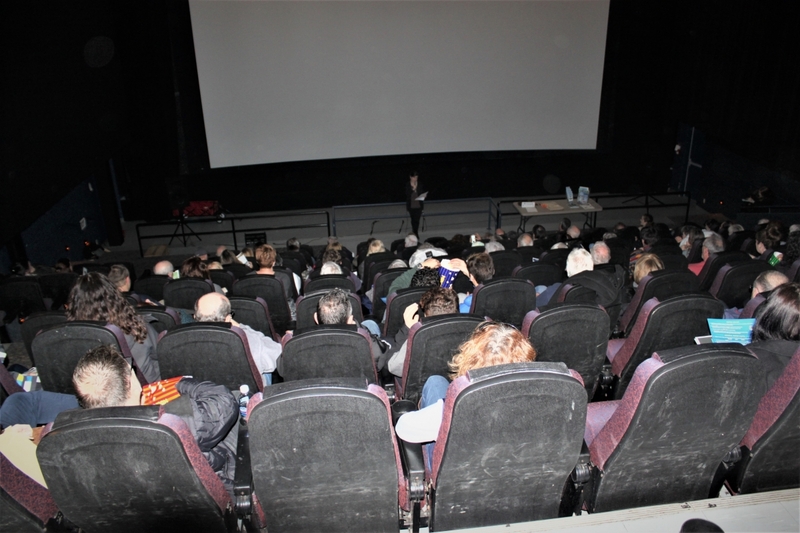 The Detroit River Canadian Cleanup hosted two free screenings of WHAT LIES BELOW at Lakeshore Cinemas on World Water Day, March 22 2017. 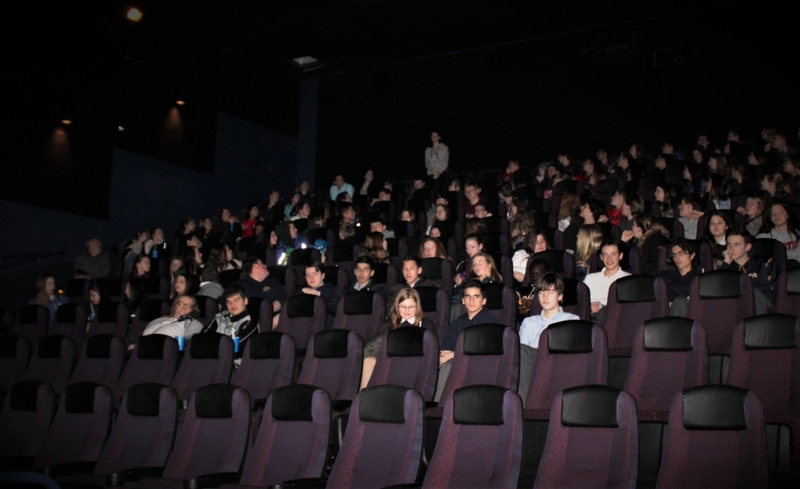 In the morning students from St. Anne Catholic High School and the Essex District High School viewed the film, and the evening screening was open to the public. 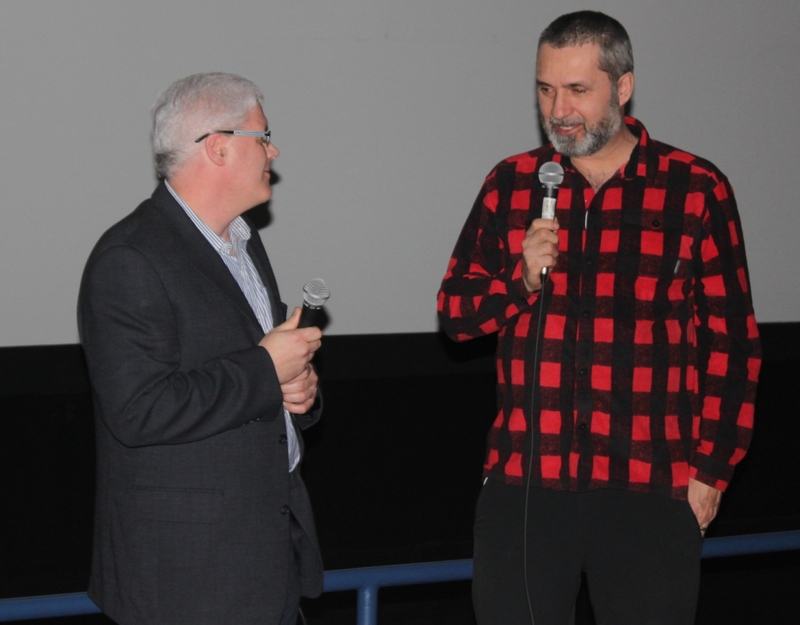 This documentary examines the future of Canada’s wild fish stocks and the habitats they occupy that are at risk from overharvesting, habitat loss and destruction. What Lies Below explores what local people are doing to ensure the future sustainability of Canada’s water and traditional fisheries. 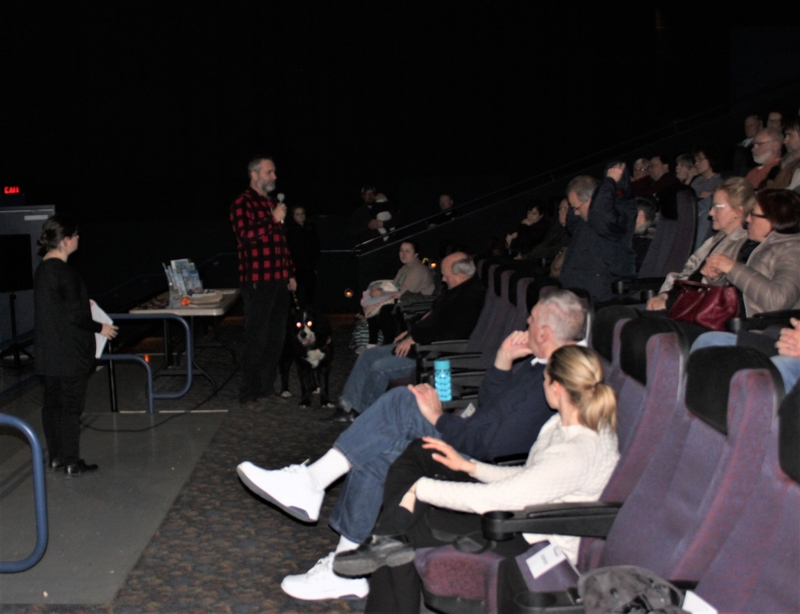 Following the film, audience members had the opportunity to speak with a panel of experts, including Lawrence Gunther, the film writer and star. As a person who was registered blind as a child, Lawrence has made it his life’s mission to consider what’s taking place in the underwater environments that made us all “blind”. Lawrence’s passion has led to his earning a Masters in Environmental Studies, which included researching environmental issues impacting Canada from sea to sea to sea. He has lived among the Inuit in Canada’s Arctic, hand-lined commercially for Cod off Cape Breton Island, competed professionally in fishing tournaments throughout North America, and invented the world’s first fishing boat capable of being piloted independently by someone without sight. Lawrence’s work has been well recognized including his receipt of the Meritorious Service Medal from the Governor General. 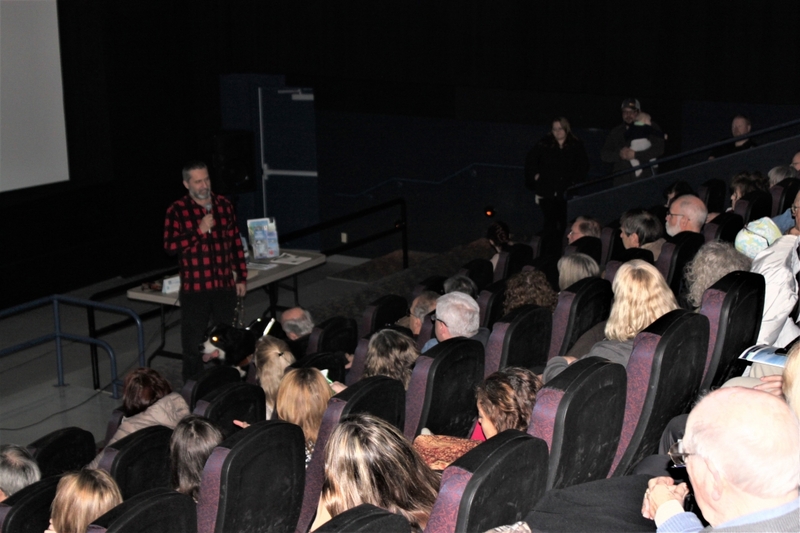 In 2012, he founded “Blue Fish Canada”, a charity dedicated to fish health and sustainable fishing. His “Blue Fish Radio” podcasts and “Feel the Bite” videos are enjoyed by thousands, and his “Blind Fishing Boat” blog has entertained and inspired people for over ten years. Ken Drouillard, one of the expert panelists, is a professor from the University of Windsor who also grew up in locally here and caught his very first fish at the age of six from the Detroit River in LaSalle. 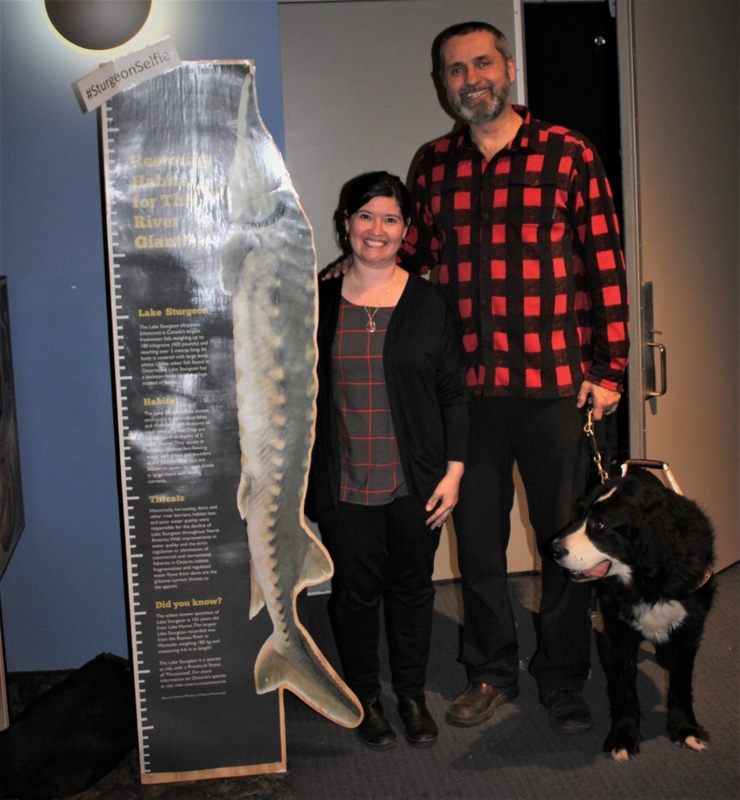 After receiving his PhD from Trent University, Ken returned to Windsor in 2000 as a Post Doctoral Fellow and is now a Professor at the Great Lakes Institute for Environmental Research (GLIER) at the University of Windsor. His research involves to the development of pollutant bioaccumulation models for a variety of Great Lakes species including invertebrates, fish, amphibians and birds. These models can be used to assess the water and sediment quality and perform ecological hazard and risk assessments. Not only is Ken a passionate local angler, he also contributes to the Detroit River Remedial Action Plan by sitting on the Monitoring and Research Work Group, providing expertise on a number of environmental issues. Karina Richters also sat on the expert panel, and is the Supervisor of Environmental Sustainability and Climate Change for the City of Windsor. In addition to the implementation of the Environmental Master Plan, Karina has been involved in numerous projects to build a more resilient Windsor through Climate Change Adaptation Strategies. She is currently leading the development of the Corporate and Community Climate Change Mitigation Plan. Karina has also been a municipal representative for the Detroit River Canadian Cleanup partnership. 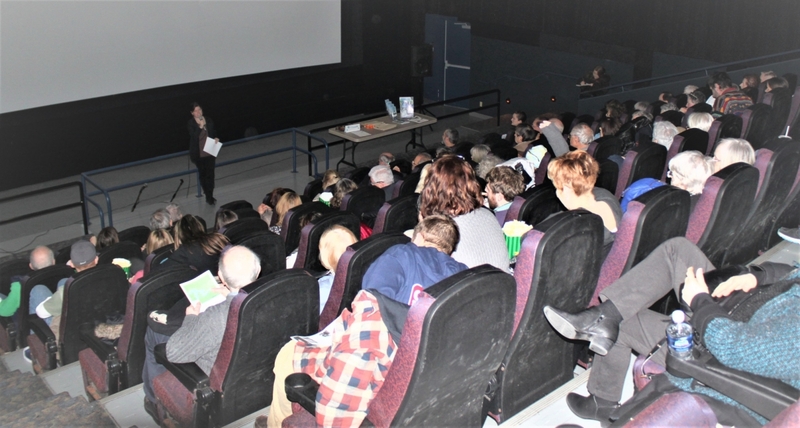 The DRCC sincerely thanks all of the panel members, volunteers and Lawrence for coming down from Ottawa to celebrate World Water Day and share his film with us! 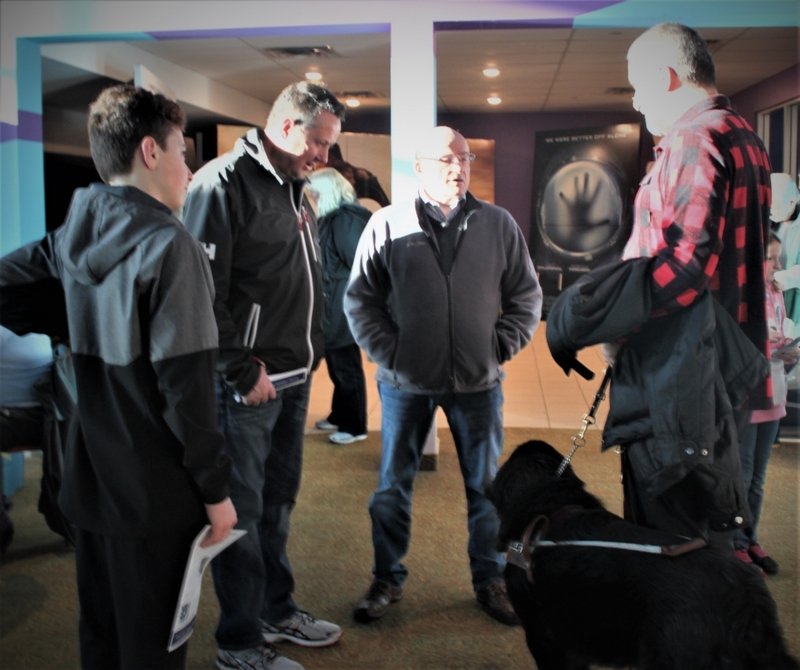 Special thank you to Tactile Vision Graphics who generously provided a special thank you card in Braille on behalf of the DRCC for Lawrence. 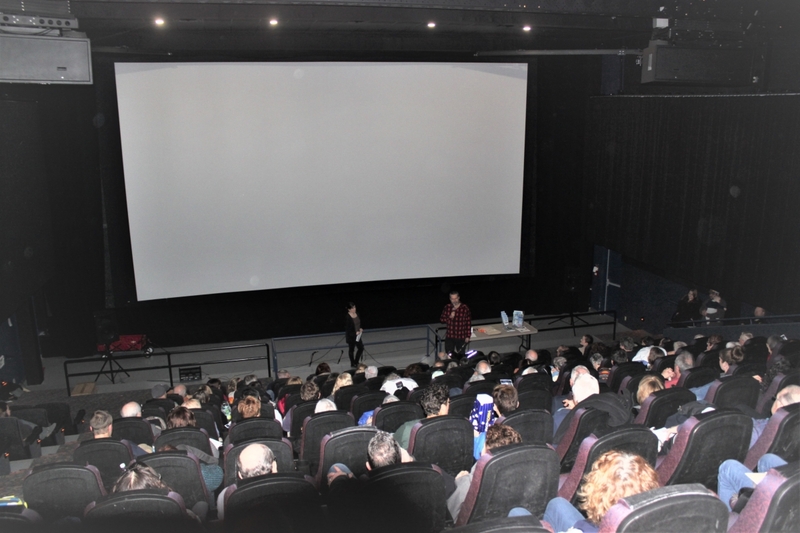 Including a meet and greet with the film writer! 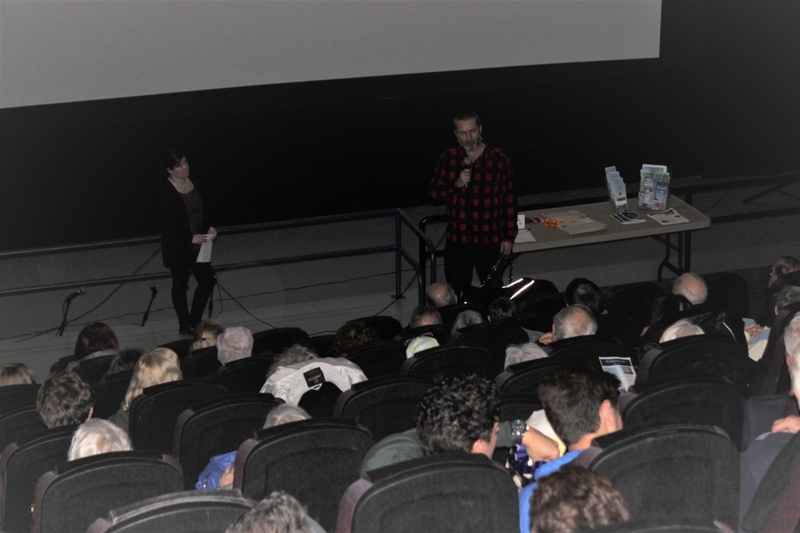 Tecumseh, ON – The Detroit River Canadian Cleanup is pleased to bring What Lies Below to Lakeshore Cinemas in celebration of World Water Day. 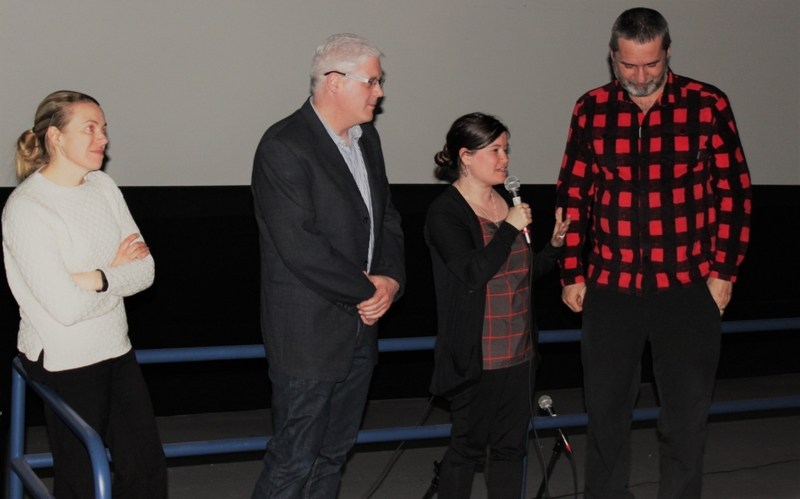 This documentary examines the future of Canada’s wild fish stocks and the habitats they occupy that are at risk from overharvesting, habitat loss and destruction. What Lies Below explores what local people are doing to ensure the future sustainability of Canada’s water and traditional fisheries. 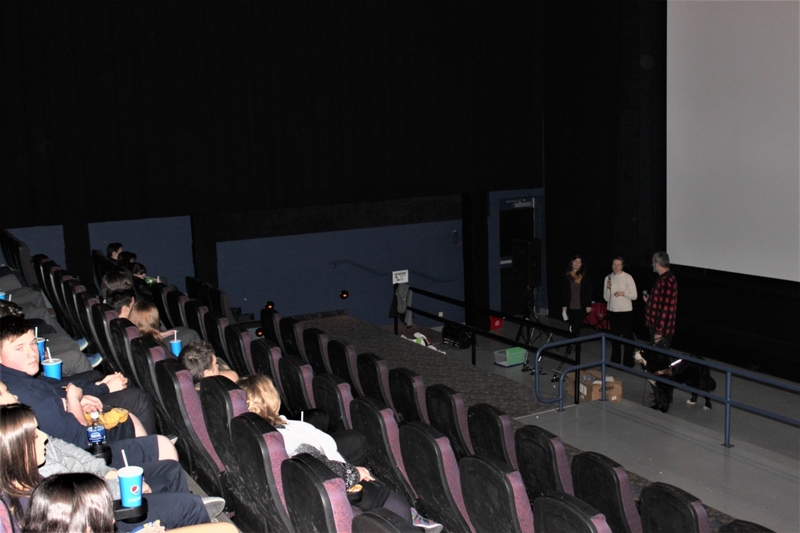 Following the film, audience members will have the opportunity to speak with a panel of experts, including Lawrence Gunther, the film writer. Lawrence, a professional angler who is also blind, is the host of both Feel the Bite TV and the Blue Fish Radio show. Lawrence Gunther draws on his perspective to explore and share what others are not able to see taking place beneath the waves. 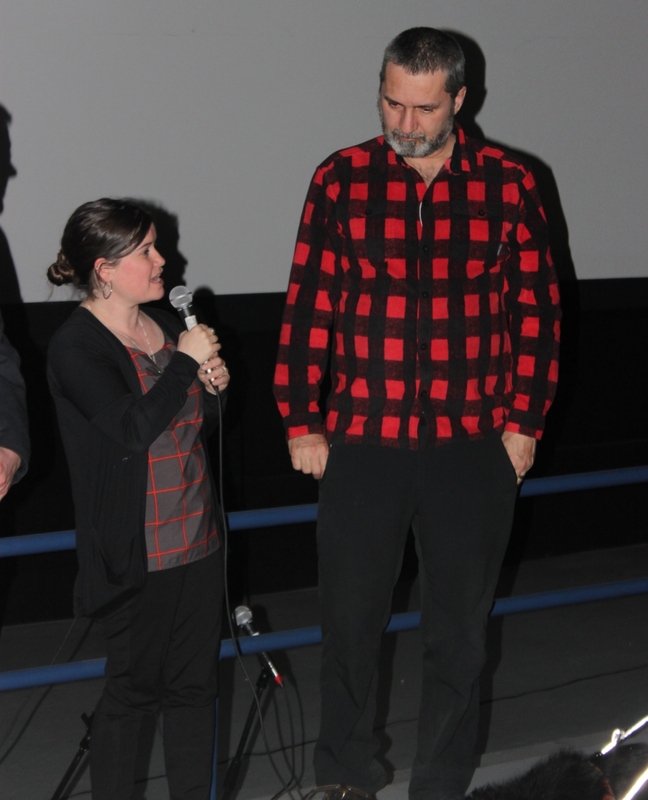 Lawrence will be available for media interviews during the afternoon (upon request) or at Lakeshore Cinemas from 6:00pm to 7:00pm. The Detroit River Canadian Cleanup is a community-based partnership between the federal, provincial, and municipal governments, industry, academics, non-government organizations, and concerned citizens. Our main goal is to cleanup, enhance, and sustain the Detroit River ecosystem. Cost: FREE! Everyone is welcome to attend; registration is required. Windsor, ON and Taylor, MI – Each year on March 14, International Day of Action for Rivers recognizes and celebrates efforts made around the world to protect and restore rivers. Globally, rivers often share boundaries with numerous jurisdictions, and this day highlights the shared goal of strengthening regional and international networks who steward these resources. The Detroit River has served an important role in the history of the Windsor-Detroit area and is one of the busiest waterways in the world. It connects Lakes Superior, Michigan, and Huron to Lakes Erie, Ontario and the St. Lawrence Seaway. It is also designated as an American Heritage River and a Canadian Heritage River, the only river in North America to have this dual designation. When the Windsor-Detroit area underwent rapid industrialization at the turn of the 20th century, the Detroit River became notoriously polluted. Years of extensive industrial, urban, and agricultural development along the Detroit River resulted in the historical release of harmful legacy pollutants from industry, bacteria from wastewater treatment plants, and nutrients from agricultural runoff. These environmental issues have caused the impairment of several beneficial uses. As part of the international cleanup effort, the Great Lakes Water Quality Agreement (GLWQA) was signed between Canada and the United States in 1972, committing both countries to protect and restore the Great Lakes Ecosystem. 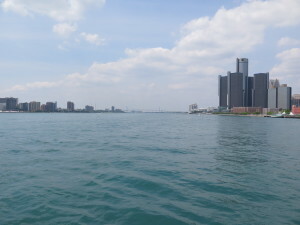 The Detroit River was designated as an Area of Concern (AOC), which are regarded as the most environmentally degraded sites within the Great Lakes. The 1970s and 1980s saw the development of a massive conservation effort aimed at cleaning up the Detroit River. Both the Detroit River Canadian Cleanup (DRCC) and the Friends of the Detroit River (FDR) implement separate Remedial Action Plans (RAP) for Canada and the United States. Through community-based partnership between the government (federal, provincial/state, municipal), local industries, researchers, environmental organizations, and citizens working together, the goal is to protect, restore, and enhance the Detroit River ecosystem. Remediation efforts from both Canada and the United States in the Detroit River include sediment cleanup and remediation, habitat restoration, municipal and industrial wastewater treatment, infrastructure upgrades, non-point source pollution management, as well as a suite of ongoing studies, investigations, monitoring, research, education and outreach. To learn more about the DRCC, FDR, and associated RAPs, please visit their websites: www.detroitriver.ca and www.detroitriver.org respectively. There are many opportunities available for individuals who would like to get involved in restoring the Detroit River in both countries. A summary of upcoming events is below. Please contact both the DRCC and FDR for any RAP or event related questions. 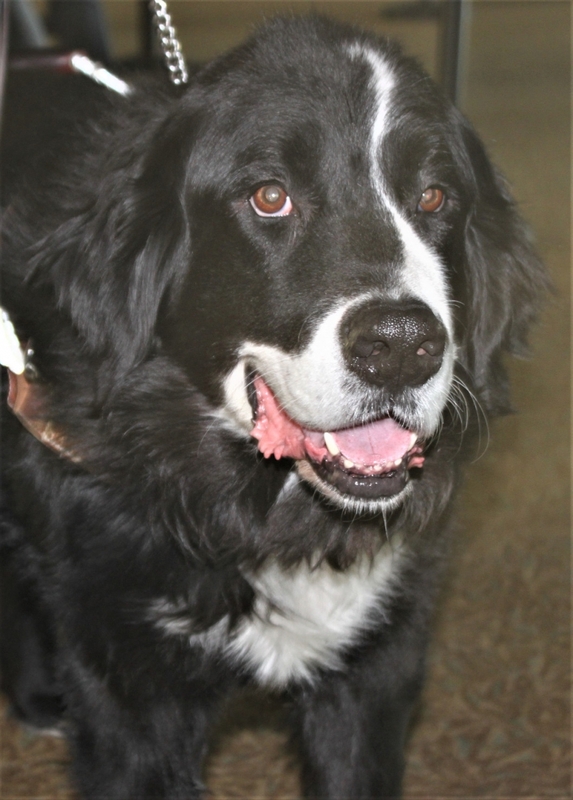 *Please visit the DRCC and FDR websites for more event information. For those who would like to take a direct role in the RAP process and sit on the Public Advisory Council please contact both the DRCC and FDR to express interest in joining. March 21st 2017: International Joint Commission public meeting held at the Outdoor Adventure Centre, 1801 Atwater, Detroit, Michigan from 6pm to 9pm. The draft Triennial Assessment of Progress (TAP) report under the 2012 Great Lakes Water Quality Agreement, the International Joint Commission commends Canada and the United States was released January 2017 to obtain public input until April 15th 2017. All comments regarding the draft TAP report as well as the two countries’ progress report can be sent to ParticipateIJC@ottawa.ijc.org and online at www.participateIJC.org. 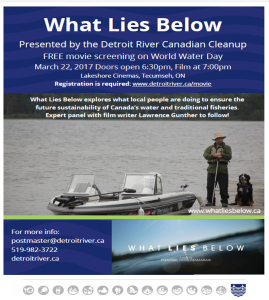 March 22nd 2017: World Water Day and the DRCC Film Screening of ‘What Lies Below’ documentary (www.detroitriver.ca/movie). April 4th 2017: Little River Enhancement Group, Code Green (Caesars Windsor) and DRCC cleanup. This is a closed event. April 22nd 2017: Celebrate Earth Day and participate in the Lower Detroit River Cleanup, Rotary Park in Trenton, MI with the FDR. April 23rd 2017: Celebrate Earth Day by tree planting with the DRCC and the Essex Region Conservation Authority. Also, stop on by Malden Park to visit the City of Windsor’s event! (http://detroitriver.ca/celebrate-earth-day-in-the-windsor-essex-community/). June 2nd to 4th 2017: Celebrate Island Fest with the FDR (Details TBD). June 4th 2017: Eau Canada: celebrate the Detroit River as a Canadian Heritage River, as part of Canada150 Celebrations. Multiple locations along the Detroit River and sub watersheds, from 10am to 4pm (more details to come). The mission of Friends of the Detroit River is to enhance the environmental, educational, economic, cultural and recreational opportunities associated with the Detroit River watershed through citizen involvement and community action. Today, the Government of Canada and the Province of Ontario have released a draft action plan that will help to reduce high amounts of phosphorus and the growth of toxic and nuisance algae in Lake Erie. Reducing the amount of phosphorus entering Lake Erie is the best way to minimize algal blooms, which can be harmful to human health and the environment. While phosphorus is an essential nutrient for plant and animal life, scientists have identified that excess phosphorus is the cause of algal blooms in the lake. Phosphorus enters Lake Erie from many sources, including runoff from urban centres, agricultural lands, sewage treatment plants, airborne particles, septic systems, and industrial discharges. This draft plan identifies actions that can be taken by the governments of Canada and of Ontario, municipalities, conservation authorities, Indigenous communities, and partners in key sectors, such as agriculture and industry, to achieve the goal of reducing phosphorus in Lake Erie by 40 percent. Stakeholders and community members are encouraged to comment on the draft action plan before May 9, 2017. This input will inform the final action plan for the Canadian side of Lake Erie. The Great Lakes are the largest freshwater system on Earth—holding 20 percent of the planet’s fresh water. Ontario’s Great Lakes Basin is home to 40 percent of Canada’s economic activity and 95 percent of Ontario’s agricultural land. Most Ontarians get their drinking water from the Great Lakes Basin. Lake Erie is the shallowest and most biologically productive of the Great Lakes, and it receives high loads of phosphorus, making it highly sensitive to harmful blue-green and nuisance algal blooms. Algal blooms impact the enjoyment of the lake for millions of people in the region. Through the Great Lakes Water Quality Agreement, Canada and the United States are committed to finalizing domestic action plans for Lake Erie, by February 2018. The draft action plan supports Ontario’s Great Lakes Protection Act. Newsflash! Team Canada-Ontario released draft action plan today to help reduce phosphorus in Lake Erie! Team Canada-Ontario released its draft action plan today to help reduce phosphorus in Lake Erie and combat harmful and nuisance algae blooms. Its purpose is to share Canada and Ontario’s proposed actions, and invite Canadians, especially those living in the Great Lakes Basin, to contribute their comments, ideas and actions for inclusion in the action plan. The draft action plan will be available for input until 09 May 2017. Ontario also has it posted on their Environmental Bill of Rights Registry.